We wrote a few weeks back about Darabont’s new project, ‘L.A. Noir’ for TNT. You can read about that HERE. All that was known about the show was its premise and that Darabont himself would write and direct at least the pilot. Now, Darabont and TNT have an actor in mind to play the lead role, and that actor comes from Darabont’s old tv series, ‘The Walking Dead’. Before you progress with this story, know that there will be some SPOILERS for the ‘Walking Dead’. Darabont and TNT are in talks with actor Jon Bernthal from Walking Dead to take the lead role in ‘L.A. Noir’. Benthal plays Shane on ‘Walking Dead’. In the comic series, Shane is killed early on in the series by someone unexpected, so I’d imagine soon, maybe by the 2nd season’s end, Shane will be gone, which will leave him available. In “L.A. 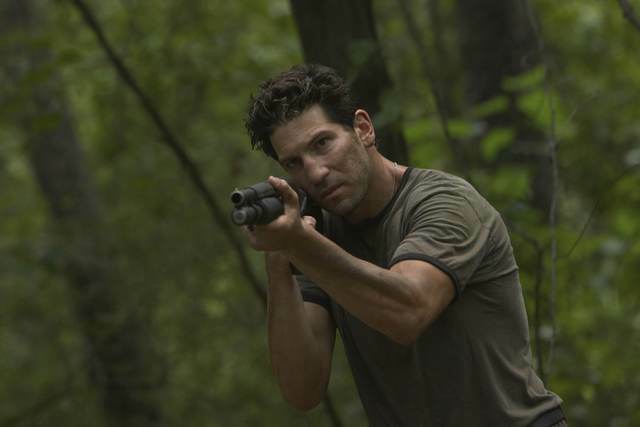 Noir,” Bernthal would play Joe Teague, the Los Angeles cop at the center of the show that examines corruption in the LAPD and ties between police and underworld figures in the 1940s and ’50s. TNT greenlit the pilot earlier this month. Darabont wrote the script, based on the book by John Buntin, and will helm for TNT Original Prods. Michael De Luca and Elliott Webb exec produce with Darabont. This entry was posted on Monday, January 23rd, 2012 at 6:05 pm	and is filed under News. You can follow any responses to this entry through the RSS 2.0 feed. You can skip to the end and leave a response. Pinging is currently not allowed. « ‘The Human Centipede 2: Full Sequence’ Bluray Announced and Detailed!! !